Now, more than nine years after implementing BoldChat, STOPzilla has experienced significant benefits. 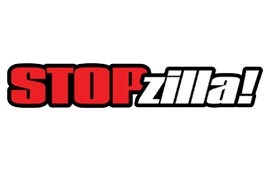 As an award-winning creator of security and performance software, STOPzilla has protected sensitive data for more than nine million users worldwide. Even as a leader in the anti-spyware eld, STOPzilla faced significant and evolving challenges, such as a three-fold increase in customer-acquisition costs in less than two years, as well as escalating pressure on the support team due to improved sophistication of spyware developers. As an ongoing issue, whenever scares of code hacks or ransomware hit the news, customer inquiries spike by about 300%. STOPzilla needs to eld every inquiry as quickly as possible. "BoldChat is essential to our business, for pre-sale, post-sale and customer retention. Live chat is our first go-to when customers want to contact us, over any other channel." Thanks to its simple, flexible and powerful interface, STOPzilla was able to rapidly deploy BoldChat with little training. In fact, BoldChat was fully installed and operational in less than 45 days. The deployment included the creation and organization of canned responses, pre-chat surveys, a complete proactive chat strategy, a highly customized chat window and comprehensive operator training. STOPzilla implemented live chat links on its website, inside its software and in auto-reply emails to give customers a faster alternative to email. Agents gained the ability to effectively manage multiple chats simultaneously, especially important during cyber-scare events, and can easily escalate any chat to a live support session using the Rescue integration.